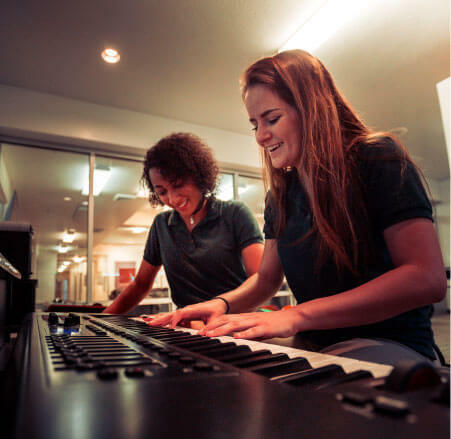 Music is an incredibly important feature in the life of a high school student anywhere. At Discovery Academy, we use music to guide students through therapeutic processes. "Music always had a powerful impact on me. 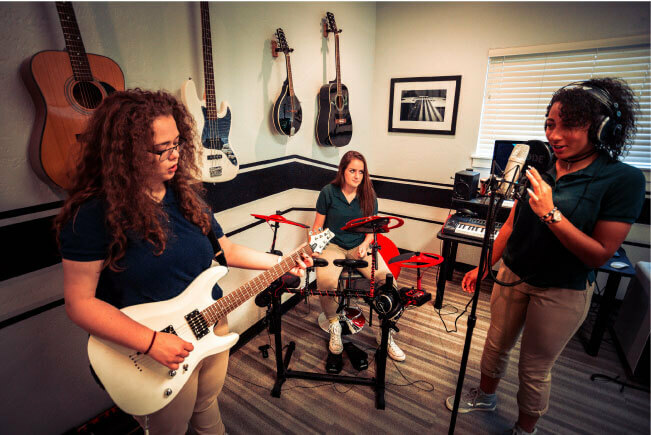 I was so happy to learn that music was going to be a part of my stay at Discovery Academy"
In our professionally equipped music studio, students have an opportunity to use technology in a new way. Easily manageable software allows the students to not only act as performing artists, but recording producers, carefully mixing and designing their own songs, and most students, when given the chance, will choose to create something entirely original, helping them explore their emotions in the creation process, and building their self-esteem as they create something they are proud to show off. Several times a year, Discovery Academy participates together with several other Ascent Family Companies in a Battle of the Bands, wherein students perform live on stage in a competition of what they have put together over the last few months. The parent seminar variety show features songs performed live with voice and instruments by our students, as well as some numbers recorded previously in our studio. Students get the chance to build themselves up as they learn a new talent, and show it off in front of parents and teachers. During our parent days event, you may experience a taste of our music therapy with your daughter and therapist in our studio!